Open Clouds will drastically improve your visual experience within flight simulator. Open Clouds is designed to be the easiest way to enjoy real weather in fsx. You do not need to make any tweaks. I have selected the options that work best accross the world for you. All you need to do is fly and enjoy the weather. We've tried to find the most update data for you from around the world. It's now unusual to fly in an area where there is no weather. 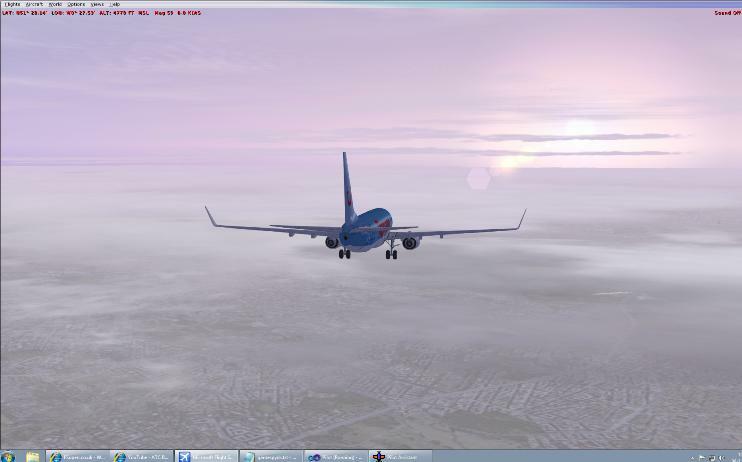 Fog in FSX has an annoying habit of appearing and disapperaing instantly. We've overcome this by applying a layer of cloud over any fog so it always remains visible. FSX rarely sets the visibility correctly which means you see much further into the distance then is normal. This is made worse as clouds and scenery are not ploted as you get further out. This fix has been carefuly tweaked to solve both of these issues. Aerodrome weather information rarely includes information on high level clouds so its rare to see them when flying with real weather. We've added some in to make it more realistic. Note: Open Clouds will only work with FSX with service pack 2 installed or with the Acceleration pack. I can't see the end of the world anymore. How do I un-install Open Clouds? Go to the windows control panel, add/remove software and select Open Clouds. Open clouds does not change anything in fsx. How do I start Open Clouds? Start fsx and open clouds in any order. When you are in the cockpit then select start open clouds in the fsx add ons menu or in Open Clouds "push to start loading weather"
I see white flashes every 2 seconds? New weather is loaded into each weather station at 2 second intervals. There is a bug in fsx that causes a flash when this happens. It is seen more at high altitude. If it is annoying you then try looking down more or stop open clouds. You will need to start open clouds again if you fly too far. Does this work with Rex? Yes. Users say this gives very good results with Rex textures. Make sure the Rex weather engine is not running or you will have 2 applications injecting weather. Why don't you make Open Clouds available as a one off payment not a subscription? Open Clouds relies on my back end server to capture, process and distribute live weather. A one off payment would imply that I would keep this service going for ever. 28/11/13 1.16.0 Fix to Prepar3D not loading temperatures correctly. 2/4/11 1.14.0 To cope with moving back end support systems to new server. 11/8/11 1.10.0 Added enhanced pushback option. 26/5/11 1.09.0 Free version restricted to UK. Subscription model introduced for global coverage. 8/12/10 1.08.1 Added language support for Danish, Chinese(Simple), Dutch, Potugese, Swedish, Turkish and Greek. 27/11/10 1.08 Fixes all bugs released in 1.07. 25/11/10 1.07 Now has an automatic program updater in it. Fix where some upper winds can be out of date. Correction to on line help - Winds aloft have always been enabled in Open Clouds. 1.06.04 released at 14:12 has improved engine for slower pcs. 17/11/10 1.05 Metars that have not changed are not reloaded into fsx now. This has big impact on performance for slow computers. Sorry I hadn't noticed before. Improved handling of engine in remote areas. 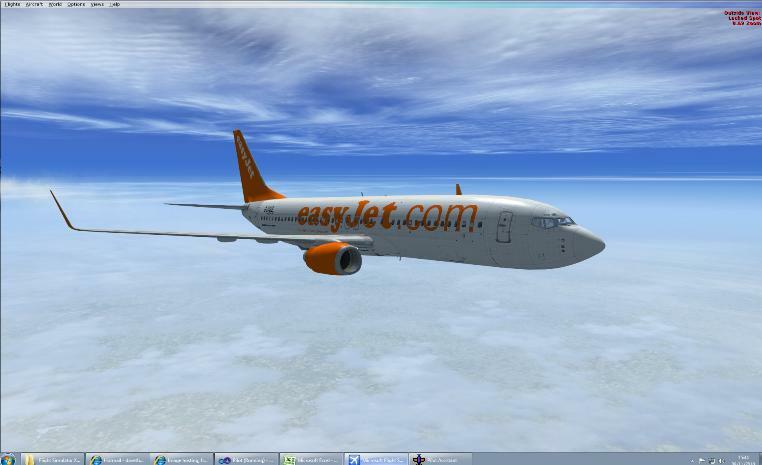 14/11/10 1.03 Added option to start within fsx menu. 13/11/10 1.02 Correct Metars where Temps or pressures are missing.